Extreme Bandwidth for Complete 4K Ultra HD and HDR Support! 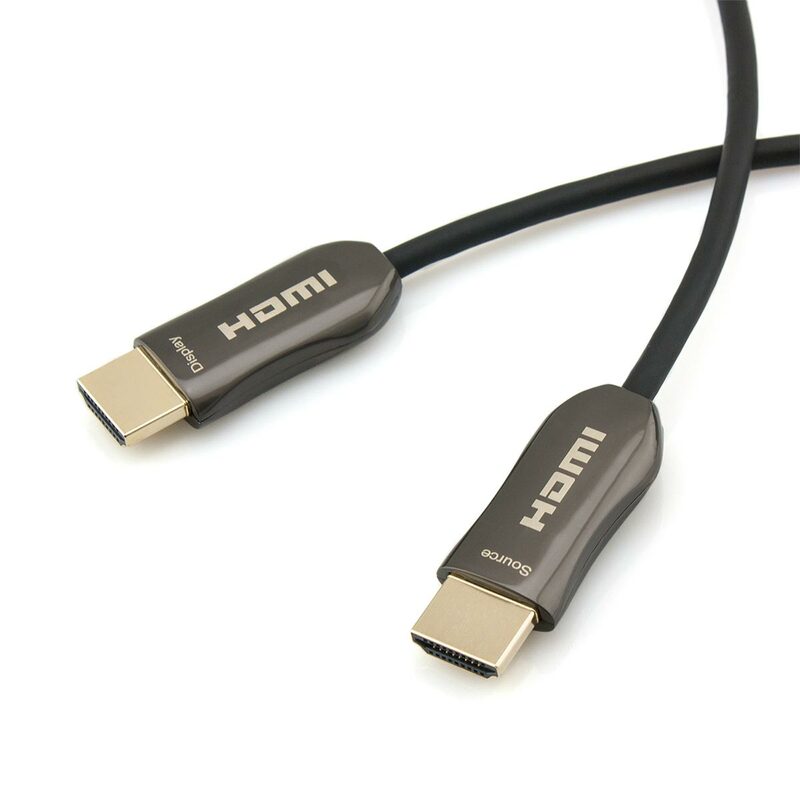 To support the latest HDMI version 2.0b features requires ultra high bandwidth (18 Gbps) that many copper cables simply cannot deliver, especially at longer lengths. 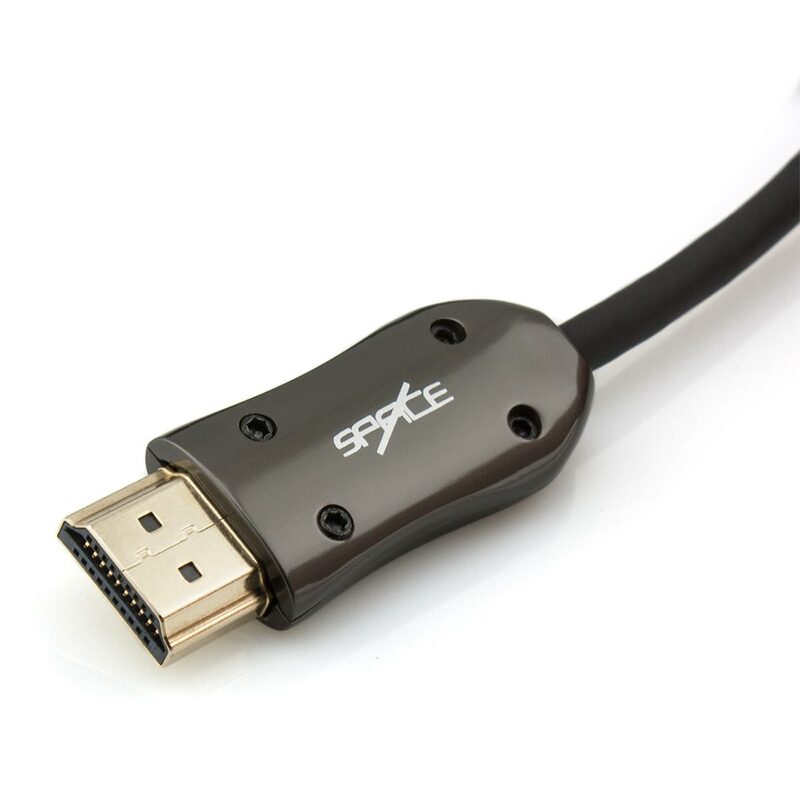 This Space Polaris Series™ Fibre Optic HDMI Cable provides a rock solid solution that facilitates support for resolutions up to 4K (2160p) at silky smooth frame rates of 60fps (60Hz), along with 4:4:4 chroma subsampling and HDR support. This high level of performance is achieved through a hybrid design of fibre optics and traditional copper cabling. The TMDS signal (this contains the critical video and audio information) is transmitted via the high speed fibre optic cores, while the lower bandwidth portions of the signal (Data Display Channel, Consumer Electronics Control and Audio Return Channel etc.) are transmitted along the copper conductors. Fibre optic cabling provides a number of notable benefits. Besides the ability to carry higher bandwidth over longer distances, this type of cable is also immune to interference and noise. The ultra thin 4.6mm outer diameter also provides the highest level of flexibility. All these features work in synergy to provide you with a reliable, high performance 4K HDMI cabling solution. 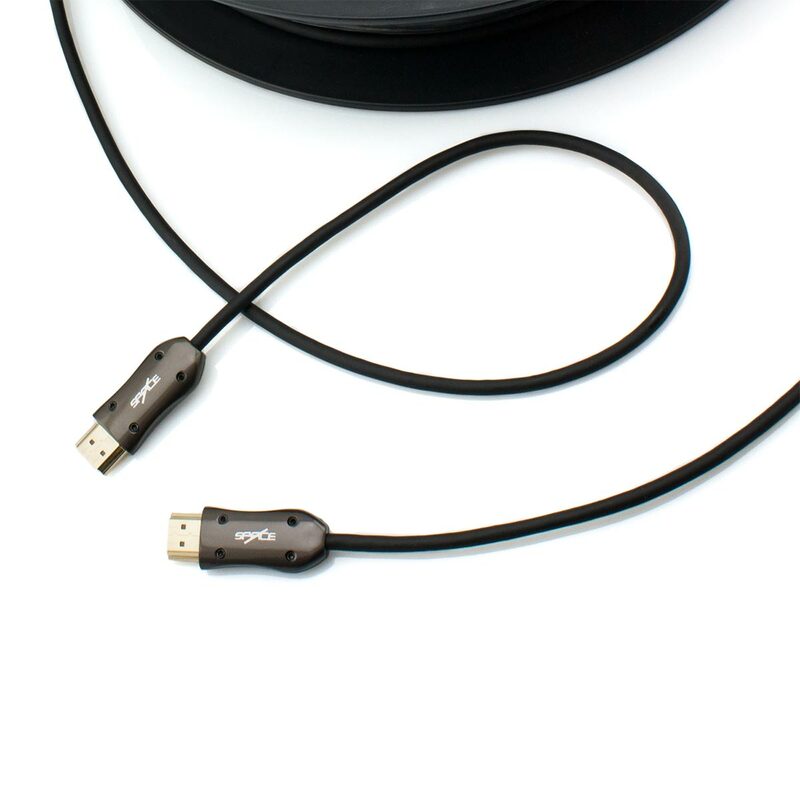 The exceptional workmanship of this cable is evident in every aspect of its design. The UL rated fire resistant outer jacket, Kevlar reinforced internal cable, ultra durable zinc alloy plug housing, ABS internal bracket reinforcement, high precision solder pins, 24k gold plated connectors and more, all serve to bring you a level of quality and performance that is simply unprecedented. This cable has undertaken a comprehensive testing and certification procedure to confirm complete HDMI v2.0b support. Some of the equipment used for testing includes the Murideo HDMI 2.0 Generator and Analyser (Fresco Six-G + Six-A), Quantum Data 780D, Quantum Data 780E, the latest gaming consoles (Xbox One and PS4), Ultra HD Blu-ray players and more. These tests confirm that all lengths of this cable (10m to 100m) are able to provide the full 18 Gbps bandwidth required to support all HDMI version 2.0b features (this also includes backwards compatibility with all previous HDMI versions). Unbeatable value and brilliant for the price. 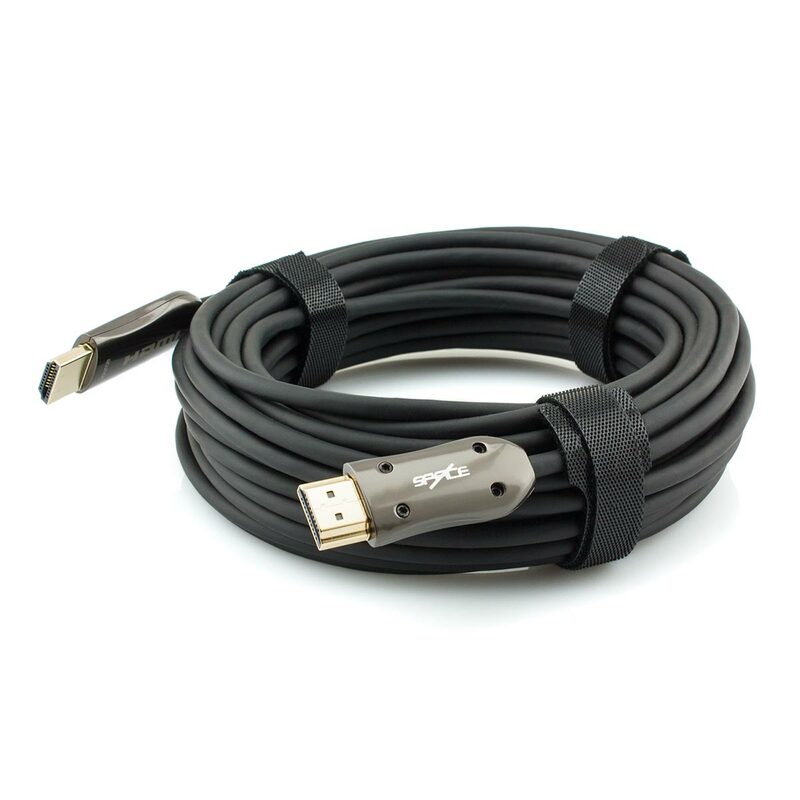 Light weight, slim line cable and high quality fittings. Using with 4K 60Hz HDR with my PS4 Pro and 360ES Sony 4K HDR projector and zero issues. Note: You can hover your mouse over each stock availability status for more information.